There’s a new must-have accessory every avid runner needs. It’s not the latest wearable tech. It’s not a pair of amazingly supportive running shoes. No, it’s the humble refuse bag. You could choose any colour you like, but as this is an idea that originated in Sweden, you might want to opt for super-stylish black – it never goes out of fashion. This is part of a new wave of fitness-meets-conservation activity that gives you the opportunity to serve the greater good while looking after yourself. As the environmental crisis becomes ever more urgent, here's a look at the ways in which people around the world are combining exercise and environmentalism. You don’t need to be a proficient runner to take up plogging, which gets its name from picking up litter and jogging. This idea originated in Sweden and is simple to both understand and take part in. All you need to do is go out for a gentle run and pick up any trash or litter you find discarded as you go along. There are plogging groups all over the world now, from New York to Manchester, where one group has decided it would rather walk to the pub and pick up litter on the way. If, like the group in Manchester, you prefer to take life at a slower pace, but you still want to help clean up the neighbourhood, the #trashtag challenge was created with you in mind. It’s a variation on the beach clean-ups that coastal communities have been organizing for several years. Groups of people come together to tackle litter and trash at specific sites. They then share their results – huge piles of bulging refuse sacks – on social media and encourage others to join in. Such initiatives are a response to the increasing concern about the amount of plastic in the oceans. A report by the Ellen MacArthur Foundation in conjunction with the World Economic Forum reveals that plastic production is set to almost quadruple by 2050. If you want to dive head first into an exercise regime that helps the planet, this is the activity for you. In much the same way the word plogging comes from pickup and jogging, strawkling comes from snorkelling and straws. It’s the brainchild of a group of Australian swimmers, divers and surfers. Its aim is to get people out into the water collecting plastic waste – such as, but not exclusively, drinking straws. Plastic has been a genuinely life-changing invention, helping keep food fresh in the supply chain and medicines safe and hygienic in transit. But its improper disposal has led to catastrophic amounts of the stuff making its way into the world’s oceans – only 20% of plastic is routinely recycled. How much plastic is found on beaches? If snorkelling is out of the question, maybe trees are more your thing. In which case you could try joining a green gym. The green gym movement has been around since 1959 in the UK. It’s a group-based activity that is all about maintaining urban green spaces. Public-owned parks and woodland areas are an amenity that everyone can enjoy, but there aren’t always sufficient funds to keep them well maintained. That’s where a group of well-equipped volunteers can help. By clearing paths, cutting away deadwood, trimming back overgrown areas and so on, the groups have a direct and immediate impact on their environment, while spending time being active. There is another kind of green gym. If you are someone who exercises regularly at a gym or health club, consider making this one small change. Rather than spending your time in the confines of the fitness centre, you could do some – maybe even all – of your exercise routine outside. 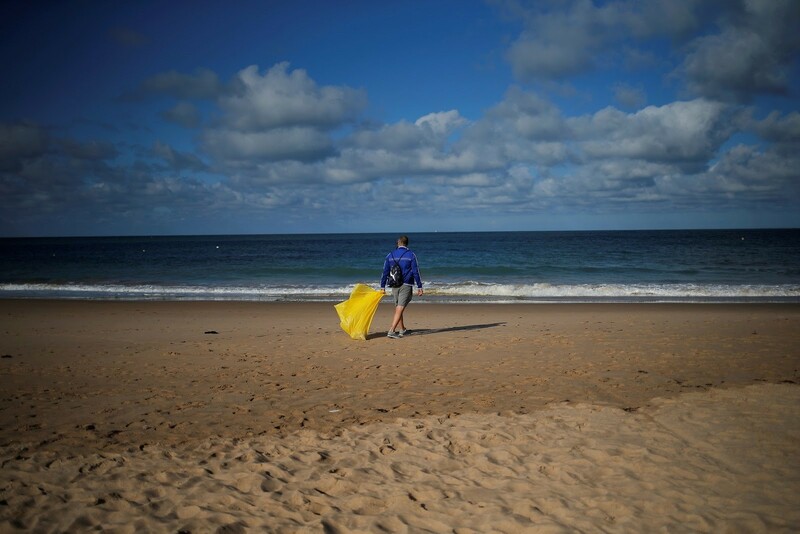 You won’t even have to pick up any litter, dive into the sea or chop back any trees. The simple act of not powering up a running or rowing machine, for example, can instantly help reduce your carbon footprint and bring down your impact on the environment. You’ll also get the benefits of fresh air and sunshine – depending on the weather of course.